Wait, Wait...Is the Arctic Doomed? What’s actually happening in the Arctic? Is it as hopeless as news reports say? DC Science Comedy and taste of science DC are going to find out! Join us as we adopt the style from the beloved NPR show, "Wait, Wait...Don't Tell Me!" 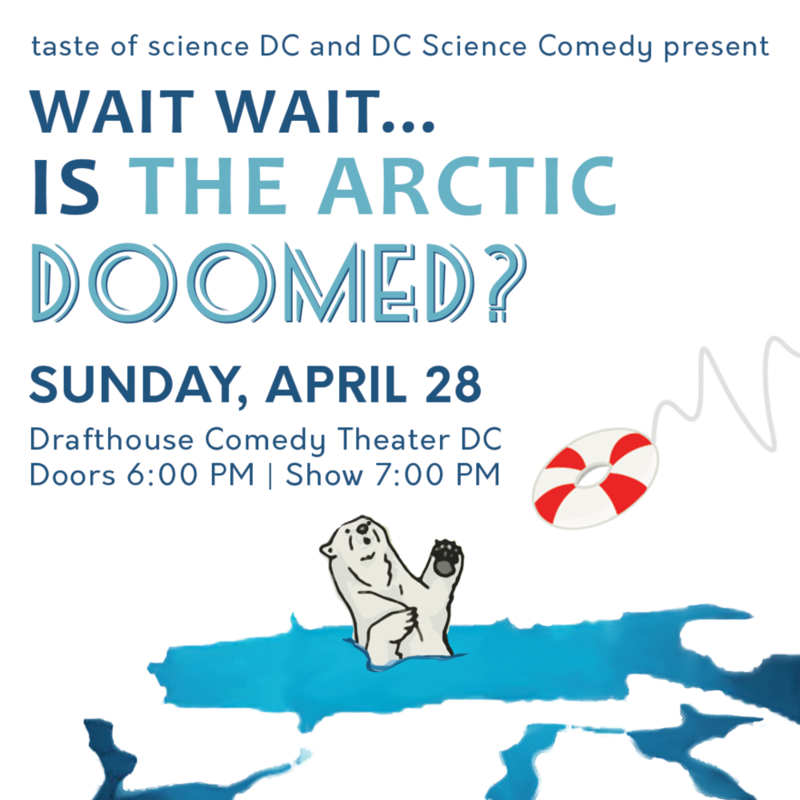 and test your knowledge with a panel of the smartest arctic scientists that D.C. has to offer! Comedian hosts Kasha Patel and Haywood Turnipseed will guide our guests and audience through a mine field of news, fake news, clearly made up stories not even resembling news, and of course, limericks!